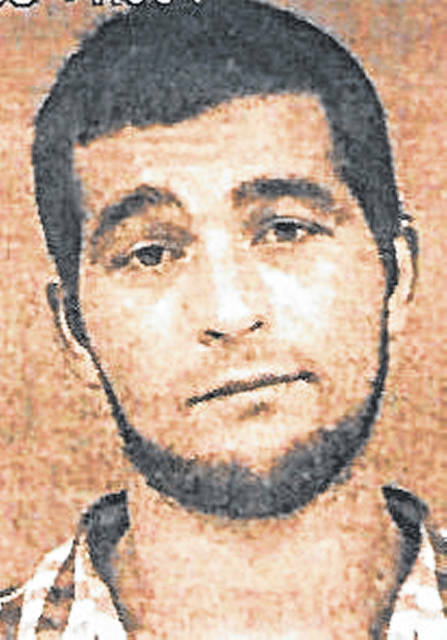 A Highland County inmate escaped from a work detail Thursday afternoon and remained at large well into the evening hours, according to Sheriff Donnie Barrera. The sheriff said Dwayne David DeVine Jr., 25, escaped while he was on work detail at the Turning Point Applied Learning Center at 110 Homestead Ave. in Hillsboro at 2:01 p.m.
DeVine had been approved for the work detail by the Highland County Probation Department, the sheriff said, and was in jail on a failure to appear charge. Barrera said the doors are not locked at Turning Point and that DeVine was working inside when he fled out one of the doors. The sheriff said DeVine was last spotted running into a large cornfield on Keplinger Road off U.S. Route 50, but officers were unable to locate him. He was headed toward the Rocky Fork Lake area, the sheriff said. Anyone with information on DeVine’s whereabouts is asked to contact the Highland County Sheriff’s Office at 937-393-1421, or if you wish to remain anonymous, call Tip411 (Android or Apple phones).